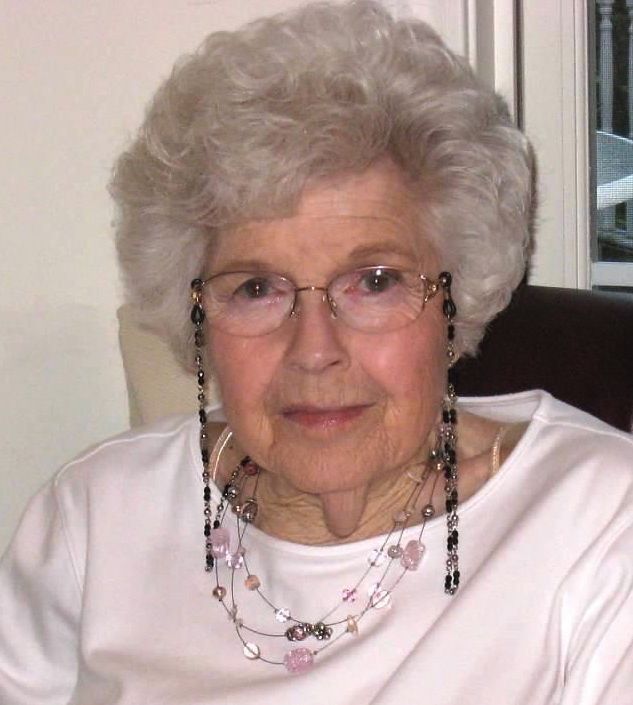 Fanshawe, Renée M. (née Mansell), Fort Washington, PA, 88, died peacefully at Fort Washington Estates, Tuesday, January 12, 2016. She was the beloved wife of the late William J. Fanshawe, Jr.
Renée was born February 24, 1927 in Philadelphia to William G. Mansell, Sr. and Rose Veronica (née Hagerty). She attended St. Madeleine Sophie School, Germantown, Villa Maria Academy, Malvern, and Montclair State College where she received a BA in English and Communications. Growing up, she enjoyed singing, dancing, acting, playing piano, art, and academics. She had three sisters and one brother. The family enjoyed summering in Cape May for many years and met lifetime friends there. She also was a Girl Scout Leader and continued that role for many years. She was passionate about photography and worked for Michael Denning Studio where she met her first husband, Thomas A. Sappington, Jr. They married in 1948 and had four children that they raised in Bala Cynwyd, PA, then Ridgewood, NJ. She instilled in them the love of nature, art, music, learning but also caring about important causes that she carried throughout her whole life. Her favorite causes were caring for the earth and all of its animals and conservation. She also was concerned about civil rights and poverty, not just in America but throughout the world. Her favorite charities were Defenders of Wildlife, Oxfam, Habitat for Humanity, Council for a Livable World and other similar causes. She was a passionate bridge player. Scrabble and Jigsaw puzzles were also famous family hobbies. Later on Renée met Bill Fanshawe whom she married in 1983. She enjoyed Bill’s eight children and their families. The two families often combined for holiday events. They lived in Pearl River, NY. In 1998, Bill and Renee moved to the Albany area, where they were parishioners of the Church of Christ the King and members of the Albany Country Club. They loved being in the Capitol Region surrounded by the beauty of the nearby mountains. They enjoyed gardening together and had a beautiful garden with perennials and Bill’s famous tomatoes, and also thoroughly enjoyed traveling together. Renée is survived by her four children, Victoria Denny (late Donald), William Sappington, Pamela McPheron and Roberta Moore (Richard); and five grandchildren. Also eight stepchildren, Helen Conway (Gerard), Janet Bortz (Edward), George Fanshawe (Barbara), Colleen Thacker (Stephen), William Fanshawe III (Deborah), Maureen Treankler (Craig), Frank Fanshawe (Amy) and John Fanshawe (Julie). And many step-grandchildren. She is also survived by her three sisters and their husbands, Rose Donahue (Joseph), Madge Keehn (late Arnold), Sally Guilfoyle (John) and their children and families. She is predeceased by her brother, William G. Mansell, Jr. and her former husband, Thomas A. Sappington, Jr. Relatives and friends are invited to Renée’s Memorial Service on Saturday, January 16th at 1:00 pm. at Manufacturers’ Golf and Country Club, 511 Dreshertown Road, Fort Washington, PA 19034. Interment is private. In lieu of flowers, contributions in Renee’s memory may be made to: Defenders of Wildlife (http://www.defenders.org/), Epilepsy Foundation Eastern Pennsylvania (http://www.efepa.org/), or a charity of your choice.